We one of the few UK importers of spectacular handmade Kyrgyz feltwork. This includes beautiful pure wool felt rugs, known as Shyrdaks, and stunning decorative felt Yurt linings, known as Jawakybash. 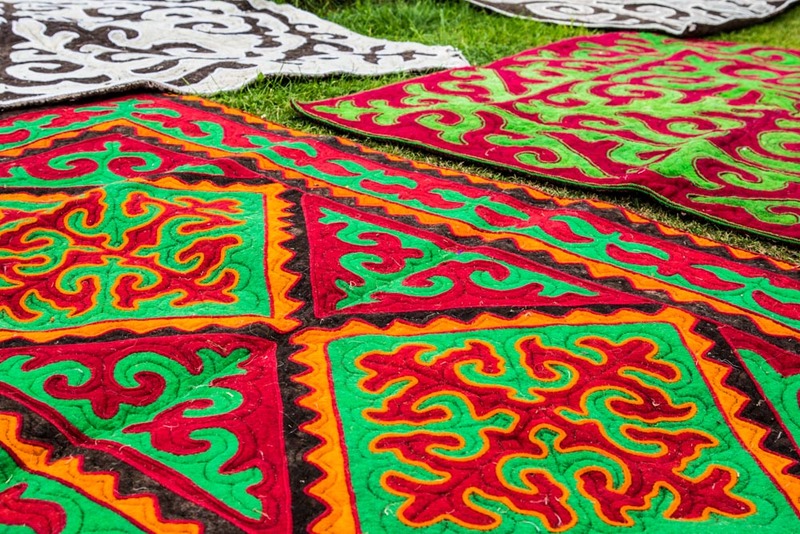 We are one of the only European suppliers to offer the traditional Kyrgyz Felt Yurt décor. 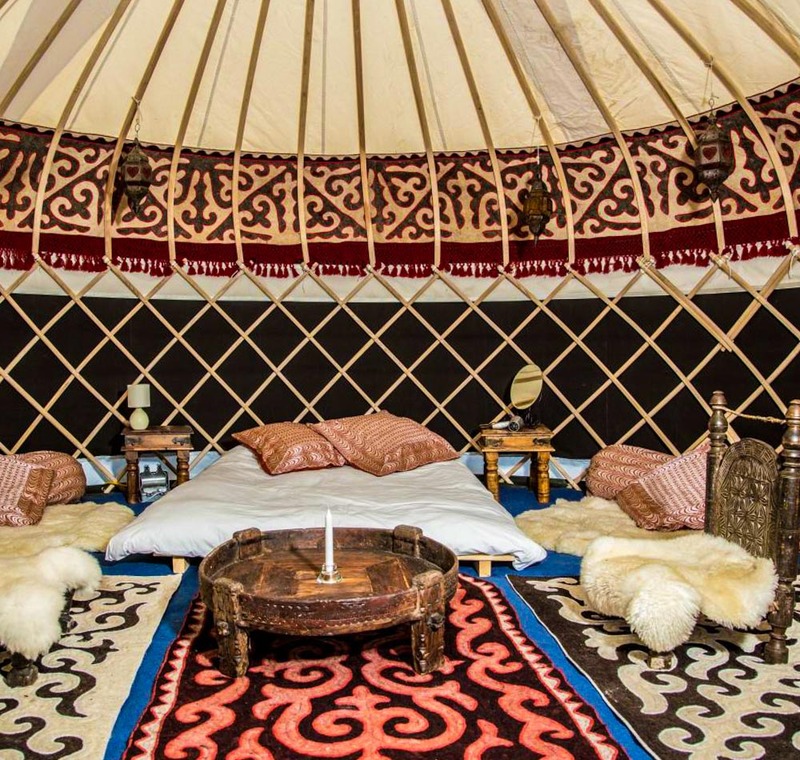 These feature incredible colour combinations, from the kaleidoscopic to natural tones in spectacular tribal designs, and add an incredible finish to any yurt. Originating in the Tan Shien mountains, these items have been meticulously hand crafted in the same way for over two and half thousand years. We have ethically sourced our suppliers from local cooperatives on fairtrade principles. Many are hand crafted in the nomadic villages by traditional artisans and womens cooperative organisations. We also supply the decorative hand woven bands used to secure the Yurt roof poles. Felt making is traditionally the domain of women. Using skills handed down through generations, the felted wool is made by hand, using only natural materials. The wool is provided by sheep that accompany the nomads. Colours and patterns are created by using natural dyes, with artificial dyes being only relatively recent. The felt is personalised and decorated using highly skilled and elaborate embroidery techniques. Although we keep a good number of Shyrdaks and Jawakybashs’ in stock, many of the products we order on demand from our suppliers, so there is a waiting time for some items. Please enquire for any specific orders.